Atlas Bunting now available in my Etsy shop! 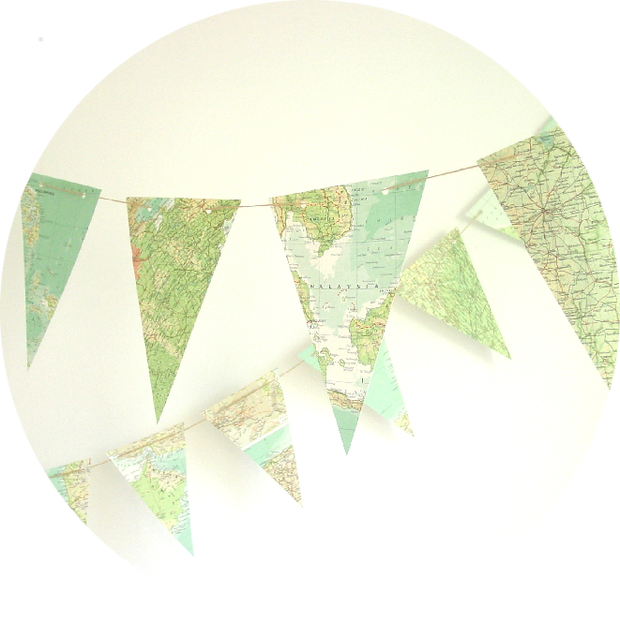 Well, it’s taken me a while to list my paper bunting, but at last, these babies are online. I’ve always loved old books, and atlases have always had a special charm for me. With these whimsical buntings I’ve rescued those big old dusty atlases from the bottom shelf of a rickety bookcase, so that the soft, muted tones and wonderful, matte texture can be appreciated once more. Pop over to my Etsy shop to see more buntings, as well as some new garlands, all 100% recycled. ← Featured on Etsy front page again!